Posted on February 22, 2018 by Sean K.
We have had a wonderful February Vacation Week of programs and wanted to share our programming with you though these brief videos. We had an absolutely wonderful day on Tuesday. The weather was spectacular. 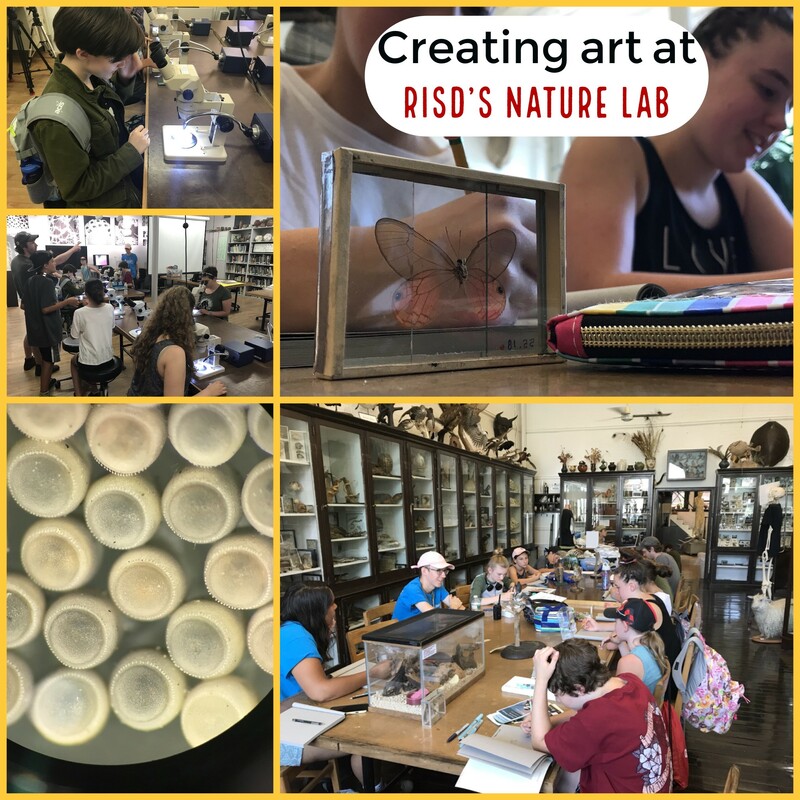 We created lots of art and explored in our wildlife sanctuary, including hiking to the brook, marbling paper (sumingashi), creating nature journals, making landscape art near the brook, creating clay birds, and more. The weather on Wednesday was amazing and we spent lots of time outside and the rest of the day creating art. 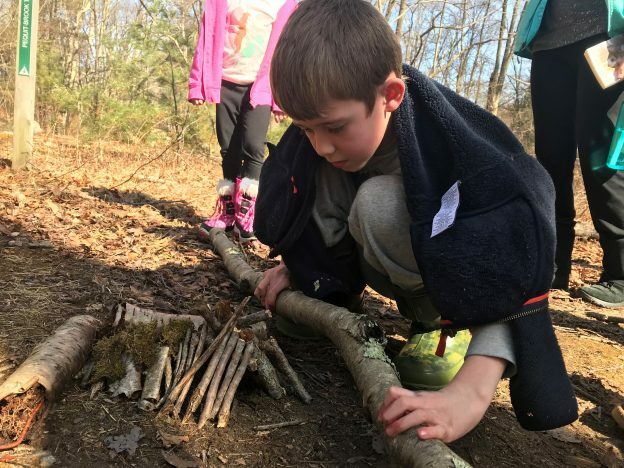 Today, we hiked to our “eagle’s nest” in the pine grove, learned about tracking deer, and everybody was challenged to create their own bird’s nests, they were spectacular. We also created lots of art, including a paper bag city, ate snack and lunch outside, and did a lot of exploring. Although the weather has changed back to winter on Thursday, we had a fantastic day. We leaped into the world of printmaking with collagraph prints and silk screens of a fox. We hiked to the brook and create with nature in the pine grove in the center of our sanctuary. We create lots of art and sketched in the museum and had lots of fun. 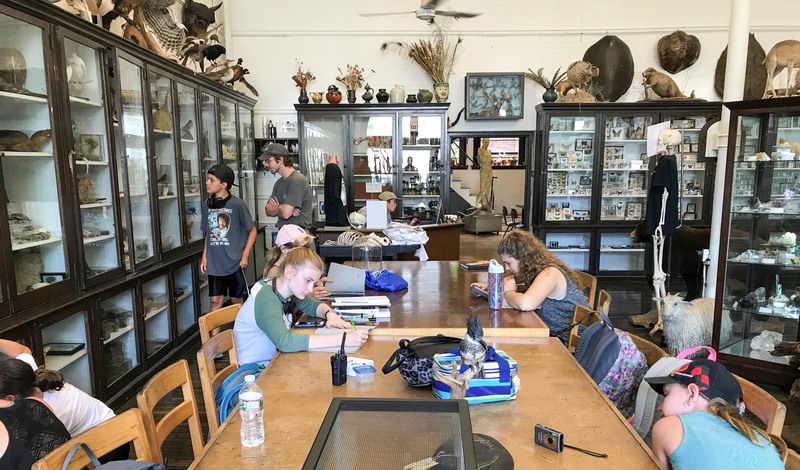 This entry was posted in Camp, Education, Vacation Programming and tagged art, February, February Vacation Programming, Fun, Get Outside, Kids in Nature, Printmaking, Sketching, Wild at Art on February 22, 2018 by Sean K..